The former President, APJ Abdul Kalam, had once said, “Politicians spend half their time on politics and the rest of the time on development.” That perception no longer holds good: more time is spent on politics and less on development. Our destiny is now decided by vote-bank politics. Just after Independence, our leaders wanted to build the nation. Jawaharlal Nehru comes to mind, and in Bengal, Bidhan Chandra Roy was another example; he spent so much time with Durgapur Steel Plant, Kalyani University and other projects that he could devote little time to politics. He almost lost the election. 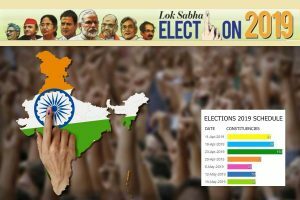 With the evolution of Indian society, politics has taken centrestage, indeed dominating our lives. There is fierce competition in the political arena with absurd allegations and counter-allegations. Ironically, there has been a dramatic improvement in the economy, made possible by the efforts of citizens who are traditionally enterprising once the roadblocks for growth have been removed by the government. At the same time, an unprecedented tide of consumerism has turned every citizen into a consummate consumer. No one will remain content for long; they want more because enough is not enough. We thus see a society of self-centered persons aping the Western model of capitalism without compassion, contrary to our tradition of deep compassion for fellow humans. But, there lies a huge lacuna. We still do not have adequate health care, no proper educational structure, not enough shelter or employment. No society can perform well for a sustained period on such fragile foundations. The answer, at least partially, to these disturbing issues is a massive campaign for science, science education and scientific temper in every nook and corner of India. Currently the condition of our science education is abysmal. In our rural schools a large number of students drop out after Class Eight, family economics being the driving reason. 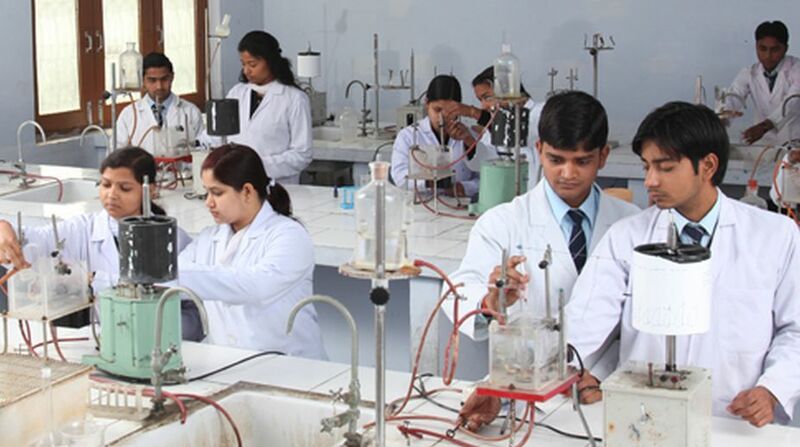 The positions of teachers in natural sciences, Physics, Chemistry and Biology, are often vacant, causing a void from Class Nine to Twelve. Lower down the classes, any teacher of science is rare. Sometimes a teacher is hired on a temporary basis. The teacher however has no time to ensure the students really learn something. Consequently, most students leave school without any scientific base whatever, and there is no opportunity for establishing any scientific rationalism, and all the evils of education without science arise ~ superstition, pessimism and lack of confidence. The students get derailed from any substantial improvement of their outlook on life. In the long run this causes immeasurable harm to our society and the country’s progress. Once we improve this situation we shall gain access to a large bank of technically qualified human resources. Teaching science could be organized in a network system where all district schools can be brought together and exposed to a series of lectures. For undergraduates, the situation is slightly better but not satisfactory in rural or semi-urban areas. This problem can be resolved by appointing scientists from research institutions concurrently in the nearest universities. This practice is followed in many countries, especially in the USA. The compartmentalisation of research institutions and universities should go. The universities in this process will get exposure to contemporary research, and scientists in research institutions will benefit from close contact with mainstream education and the student body. Even now, the best students go to research institutions, IITs, IISERs and similar such organisations, while the best of the best quite often go abroad, only a limited number of good students go to the universities. The science of course plays a significant role in development. The Bengal Renaissance produced economic growth and industrial progress with scientists in the front line. Acharya PC Roy was an outstanding chemist and a brilliant entrepreneur. P C Mahalanobis put India on the world map of statistics and initiated the concept for planning in India. Acharya JC Bose was not only a world-class scientist but a pioneering institution-builder. Satyendranath Bose discovered Bose statistics and thus bosons. Meghnad Saha with his thermal ionisation formula made India a leader in modern astronomy and Abdul Kalam and his team used Saha’s ideas for their work on rocket launching, and even us, for early universe cosmology. The SN Bose Centre and Saha Institute in Kolkata have been responsible for a large number of technically competent human resources in modern India. The renowned names mentioned are from the category of fundamental science; applications from their ideas came later. Jagadish Bose can be said to be the forerunner of semi-conductors, as Nobel Laureate Sir Neville Mott observed, that he was at least sixty years ahead of his time. Today, innovation is a buzz word, but there can be no innovative structure without a sound basis of science. Science has now been relegated in the name of innovation and we seem bent on liquidating science at the cost of both science and original innovation. The USA, with all its faults and egocentricity, is best on innovation and a leader in science. Countries best in science are best in innovation. Nobel prizes go hand in hand with innovative and ground-breaking industrial projects. Over time, most of our science has become government-controlled and the persons who preside over our programmes and dreams are bureaucrats without perception or understanding. The consequences are wholly detrimental, leading to inordinate delays and doubts. Questions, mostly irrelevant and loaded with suspicion and thinly veiled irritation, dominate the sterile discussion. Similar questions in the past led great scientists like Michael Faraday and Richard Wilson, the founder of Fermi Lab, to respond in such a way that the politicians had to yield. Governmental methods do not match the demand of coping with the speed of science in the contemporary world. Science, moving at an unprecedented speed, is not going to wait for a green signal from bureaucrats. Time is the essence for a reasonably satisfactory growth of modern science. So we always miss out, and someone else in the world has already done it. The India-based Neutrino Observatory is one such example. While we still examine it, the rest of the world, Japan and the USA in particular, have already taken the major benefits. CNR Rao, as chairman of the Scientific Advisory Council to the Prime Minister, wanted to establish an independent body for the funding of scientific reasearch comprising only scientists, but it has become yet another branch of the government establishment. The independence and speed he was looking for have been subverted. Peer judgment independent of the government is the need of the hour. Excellence has never been and will never be democratic. The writer is the former Homi Bhabha professor in the Department of Atomic Energy.